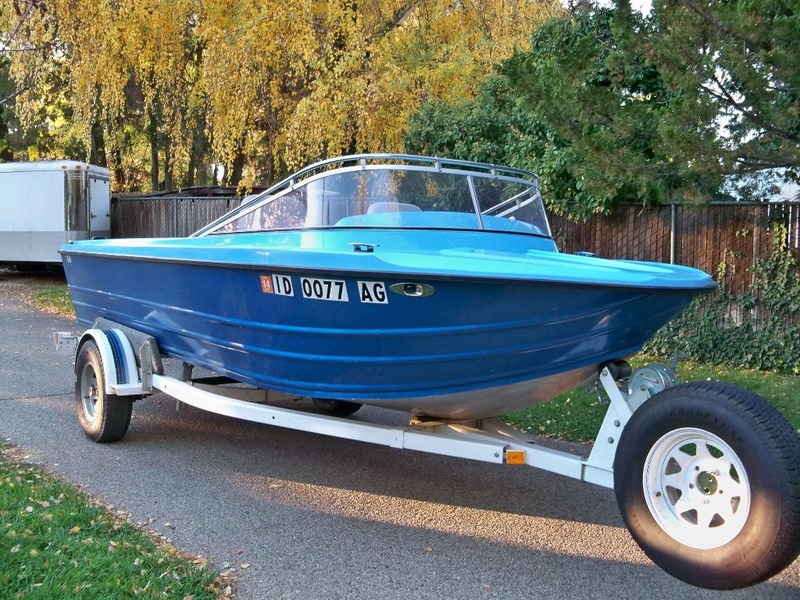 Completed by Ralston Boat Co., Meridian, Idaho, in 1990. Hull is aluminum, top fiberglass, 302 4-barrel, 2-stage Hamilton pump, 2 25 gal. fuel tanks, left hand steering w/same side dual hand controls, foot throttle, dual under dash heaters, and 2 pedestal seats. Purchased with 126.7 hrs. Wife and I (live in Boise) are excited about the boat and very different from the 23' NW we sold. Adding a 2.5 - 4 hp trolling motor to this boat?? If I add a small trolling motor bracket and motor to this boat, would their be a problem? My concern is the weight putting pressure where the aluminum hull is riveted to fiberglass top.